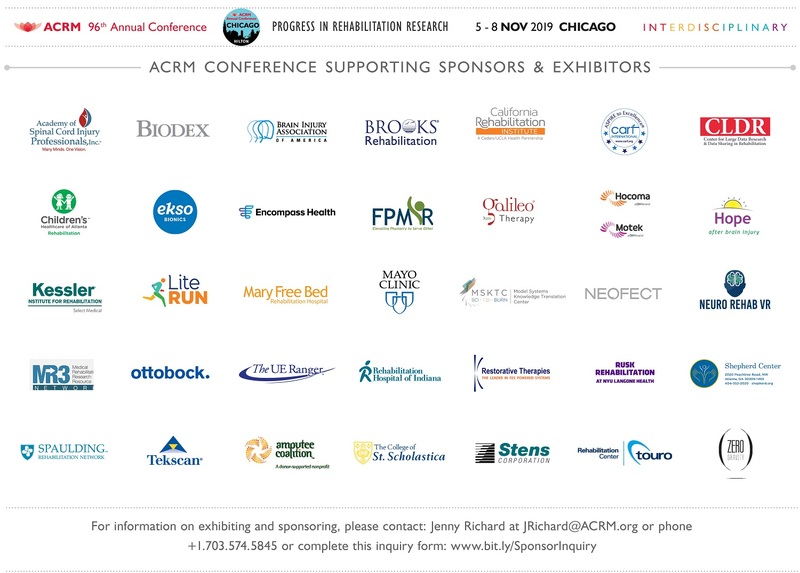 Offering 5 days of high-caliber educational content for military and VA, the ACRM 94th Annual Conference, Progress in Rehabilitation Research (PIRR) provides outstanding value for every member of the rehab team. 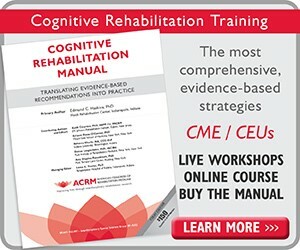 More than 13 educational sessions, meetings & many more scientific papers & papers specifically relating to needs of rehabilitation in the military/VA — from traumatic brain injury to limb restoration & more… check out the whole ACRM Conference PROGRAM. 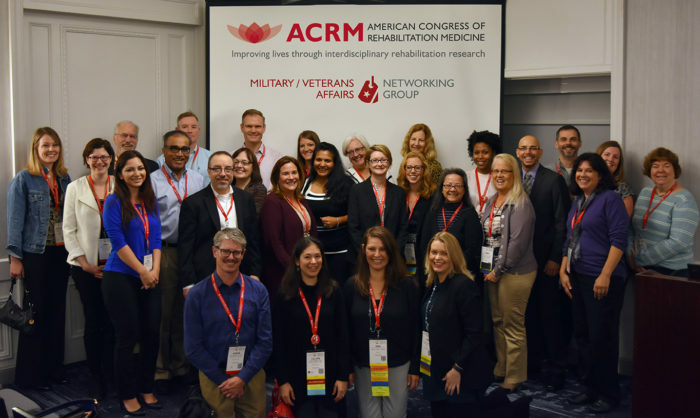 The ACRM Military / Veterans Affairs Networking Group builds bridges to close the gaps between the rehab science, non-government ACRM members and VA personnel — all working for IMPROVING LIVES and addressing specific needs of rehab in the military ranks. Connect with this group and met them in Atlanta and discover opportunities for leadership and task force involvement. 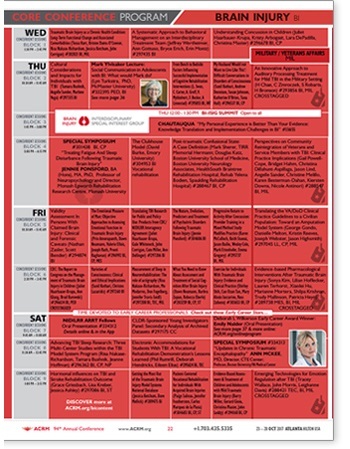 Click on the flyer image to view a handy PDF of the content most relevant to Military and VA. The agendas below highlight all content with a DIRECT focus on Military and VA. 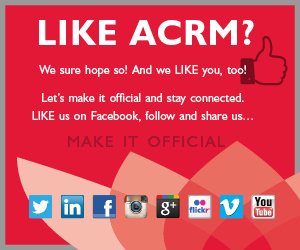 There is MUCH more content at ACRM that you will enjoy — such as the 50+ sessions of cross-cutting content, including plenary sessions. 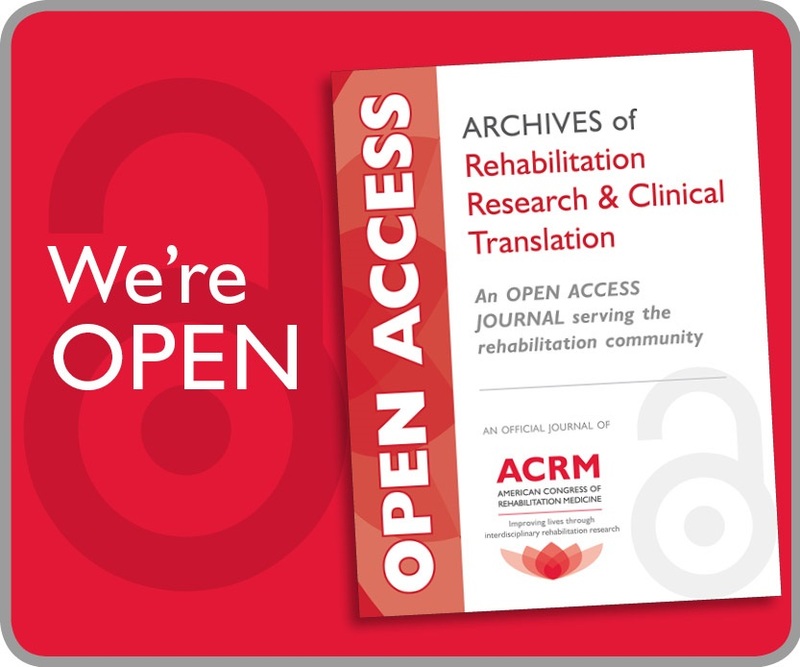 For specific MILITARY AND VA REHABILITATION sessions and more details (including presenters, session descriptions and schedules) see the ACRM APP and the online program.